Officials in the United Kingdom are requesting that a purported faith healer who is known for engaging in violent acts on stage, such as kicking the sick in the face, be prohibited from appearing in the country this month. British Labor MP Malcom Wicks reportedly contacted Home Secretary Theresa May to request that she help to stop Todd Bentley of Lakeland, Florida from coming to the UK. 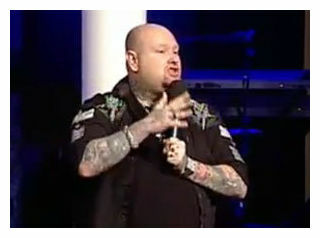 Bentley is most known for what was called the “Lakeland Revival” in Florida, which was held at Ignited Church in 2008 at the request of Pastor Stephen Strader. The weeks-long event was attended by over 400,000 people. However, many had their concerns about Bentley, who is plastered in tattoos, facial piercings and various pieces of jewelry. Reports began circulating that Bentley was becoming violent on stage and claiming that the Lord told him to do it. “I inched closer and I went bam! And just as my boot made contact with her nose, she fell under the power of God,” Bentley stated to the laughing crowd. The woman he referred to was a senior citizen that was fighting cancer. He has also reportedly placed attendees in chokeholds and has boasted of “grounding and pounding” the sick — all in the name of God. At times, he refers to discussions with an angel named Emma. However, after learning that officials in the UK sought to prevent his arrival, an organizer for the tour claimed that Bentley has never behaved in such a manner. However, some are not only concerned about Bentley’s violent methodology, but also his personal life. In 2009, Bentley divorced his wife Shonnah after admitting to having an affair with intern Jessa Hasbrook, who also served as a nanny at the Bentley residence. “We believe that there are currently no Biblical grounds for Todd to leave his wife and children,” the letter continued. Rick Joyner, Jack Deere and Bill Johnson were appointed to help reconcile the marriage, but all efforts failed. Bentley later married Hasbrook and travels with her today. He is set to appear at a 400-seat auditorium in London on August 30th, unless British officials put a stop to the meeting.